We’ve been hearing for a long time that the office as we know it, is dead. With the rise of mobility technology that allows us to work anywhere we can get a wifi signal, who wants be tied to a stuffy office space? As a result, our mobile workforce is undoubtedly on the rise. Yet, how can we explain why demand for office space in the current market is higher than ever, leading to astronomical rents in cities like New York, San Francisco and Boston? 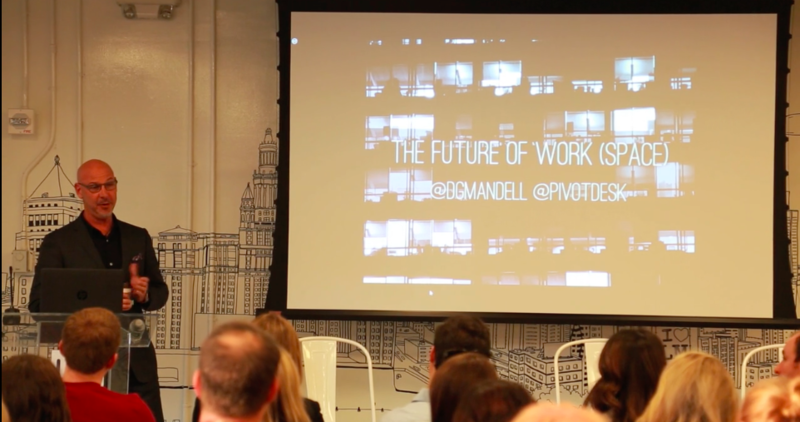 PivotDesk CEO, David Mandell, examined this conundrum in his keynote speech ahead of our second Future of Work panel, co-hosted by Managed by Q, and KISI. For David’s full take on the future of the office, watch the complete recording. Our mobile workforce is larger than ever with 50% of American workers holding a job that is compatible with remote work, while demand for office space in business epicenters like New York City and Mountain View is higher than ever. And if the office is truly dead, then why are innovative mega-firms like Apple and Google investing millions in premium office space? Google, for example, is planning for a new 600,000 square foot campus in Mountain View complete with moveable buildings and a green-path that will make the property look more like a city park than an office park. This might seem like an extreme case, but businesses all over the country are transforming their office spaces to be more employee friendly. The future of the office, it seems, is not to disappear, but to exist for the purpose of improving the lives of employees through greater connectivity and comfort allowing them to be more productive than ever. If you consider what the office used to be, this evolution makes a lot of sense. In the days of Mad Men, the office existed to bolster employee status (getting the corner office mattered!) 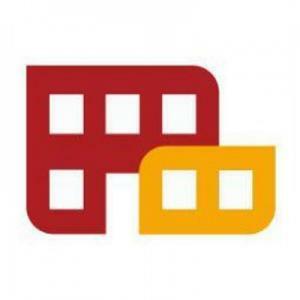 and the overall external image of the company. Big fancy office = powerful company. Now, we can see that the purpose of the office has transitioned from supporting an external image, to promoting internal culture and company happiness — which yes, at times might involve working outside of the office. Businesses have finally started to recognize that people want to work where they feel comfortable. And if those businesses are successful in creating spaces where employees feel both productive and happy, the office will likely remain an essential — yet variable — fixture in the workplace of the future. For David’s final take-aways on the future of the office, watch the complete keynote.